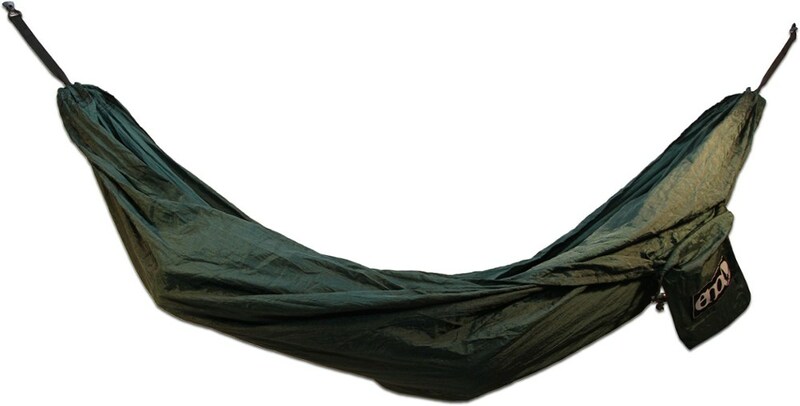 The Kammok Python 10 hammock straps offer 40 connection points via two 10 ft. straps that hang almost anywhere and hold more than 500 lbs. And, they're lighter and more adaptable than previous models. The Kammok Python 15 Straps offer lightweight, reinforced strength and easily fasten your hammock without harming the tree. Measuring up to 15 feet with 33 connection points per strap, the Python 15s offer options when the tree selection is sparse. 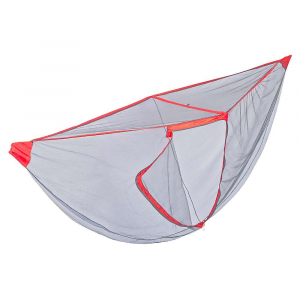 With features like reflective tracers and a lightweight Nano Weave(TM) construction, hanging your hammock has never been easier. 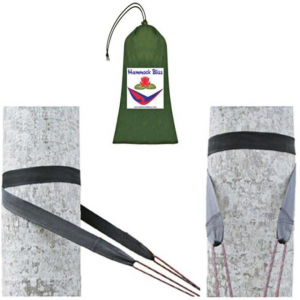 Quickly secure your hammock to trees, posts or other anchor points with the strength of Kammok Python Straps. 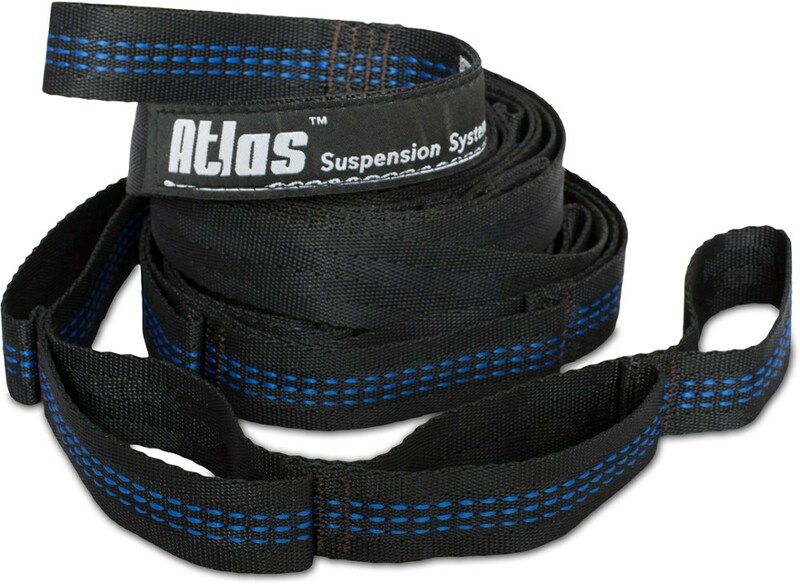 Stronger and lighter than a traditional bartacked daisy chain, these straps variable width doubles the width on the tree side of the strap while decreasing the overall weight by 3 oz. 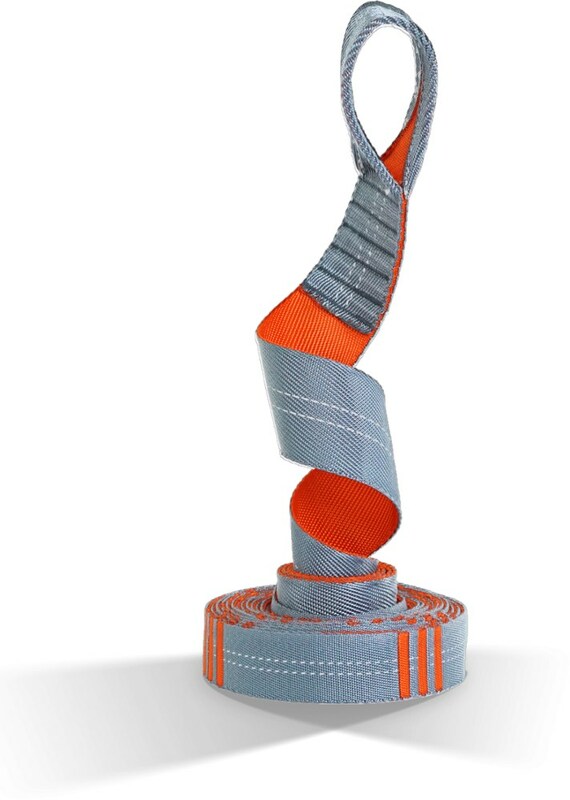 Nano Weave technology weaves the webbing together at each connection point, giving it the capacity to hold up to 500 lbs. 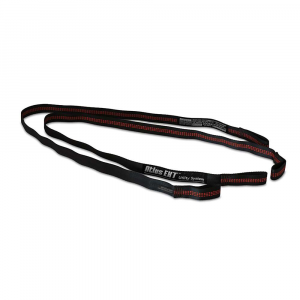 Each 10-ft. strap length has 20 connections. Reflective tracers ensure low-light visibility. Per 2. 10L x 1.5-.75W. Wt: 8.9 oz. Wt. capacity: 500 lbs. Cancer and Reproductive Harm- www.P65Warnings.ca.gov. Type: Hammock Accessories. You could find some vines and weave yourself some rope, or you could just throw the Kammok Python Straps in your pack and know you'll be able to hang your hammock easily once you get to camp. Made from a tree-friendly, super strong, and lightweight Nano-Weave webbing, these straps are capable of supporting up to 500lb of human, hound, and snacks in your hammock. Each strap has tons of daisy chain loops to let you customize your hang, and also offers reflective visibility, so you won't get caught up in your hammock in the middle of the night. Your straps also come in a waterproof nylon bag that stuffs down small to fit in your pack or travel bag, letting you take them on any and all of your trips.